Loei Palace Hotel offers international standard accommodation with all of the amenities needed for a comfortable stay in this fascinating part of Thailand. 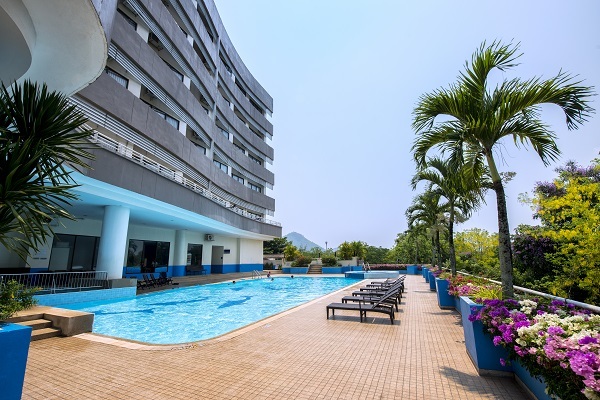 Located in Loei city, in the northeast region of Thailand that is close to the border with Laos, our hotel is next to the city park and features 156 stylishly furnished guest rooms and suites. Furnished in contemporary Thai style, our rooms offer ample facilities, such as satellite TVs, minibars, international calls by operator, showers and hairdryers. Accommodation is tastefully decorated in warm colours with beautiful views of either the tropical garden or Loei city from a private furnished balcony. We offer facilities for business travelers including meeting and seminar rooms and a business centre. Our meeting rooms are the perfect venue for both weddings and business functions. You can also enjoy relaxing at our swimming pool. For an adventurous time, take a ride on our bikes to enjoy the majestic surroundings. There are many places of outstanding natural beauty in Loei and the surrounding area, including Huai Krating Reservoir and Phu Kradueng National Park. There are some seasonal festivals including the "Cotton Blossom" festival in February and "Phi Ta Khon" festival in June or July. We can organise transportation for you. In addition, we can arrange a tour to the Loei winery and vineyards. Other attractions include the Erawan Cave, Chiangkhan, and the Khong River. There are a number of floating restaurants on lakes where you can enjoy the local cuisine with a view of the surrounding mountains.